Clean CARFAX. CARFAX One-Owner. 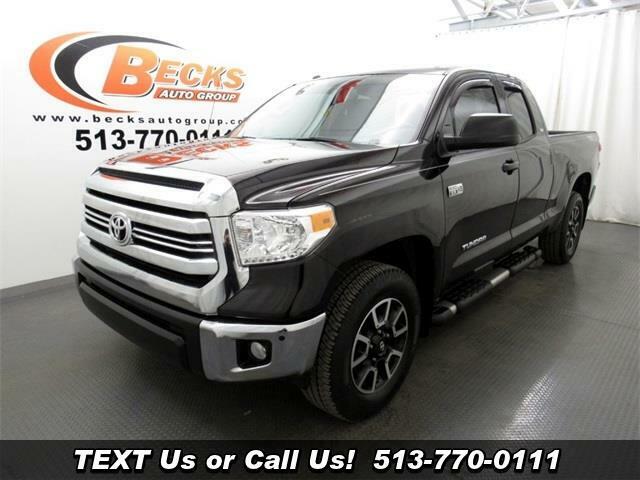 2017 Toyota Tundra Black 4WD 6-Speed Automatic Electronic with Overdrive 5.7L 8-Cylinder SMPI DOHC 5.7L 8-Cylinder SMPI DOHC, 4WD, Fabric Seat Trim w/TRD Off-Road Package, Navigation System, SIRIUSXM Satellite Radio, Trail-Tuned Bilstein Shock Absorbers, TRD Off Road Package, TRD Off-Road Graphics, Wheels: 18" x 8J Split 5-Spoke TRD Off-Road Alloy. Odometer is 5310 miles below market average!